Nearly 20 years ago J.K. Rowling’s Harry Potter and the Philosopher’s Stone cast a spell over thousands of children and adults across the world with its magical tale of wizardry. To celebrate this special anniversary of the first ever Harry Potter book, we have put together 9 things all Harry Potter fans can do in Oxford and Oxfordshire; so grab your invisibility cloak, your wand and your broomstick, and go on a magical adventure around Oxfordshire! 1. Take a guided Harry Highlights Tour of Oxford to explore the filming locations of the Harry Potter movies in Oxford and several of the locations that inspired the set. The tour is packed with information on all things Harry Potter and will surprise you with hidden facts about the movies! 2. 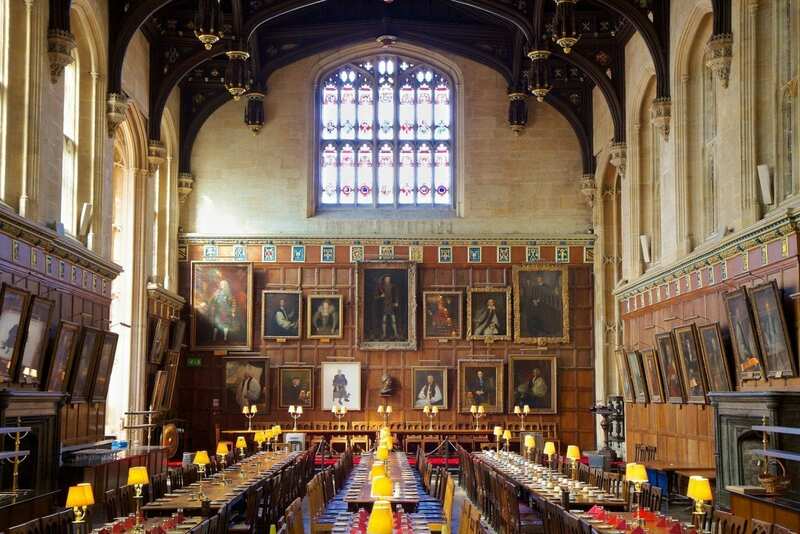 Visit the magical Christ Church College whose dining hall provided inspiration for the Great Hall at Hogwarts – in fact, the set was built based on pictures of Christ Church’s gothic hall! Also found at Christ Church are the steps leading up to the dining hall where Professor McGonagall famously stood as Harry, Ron and Hermione made their arrival at Hogwarts. 3. Relive the famous scene where dastardly Draco Malfoy was turned into a ferret by Mad Eye Moody by visiting New College, where the spell was cast in the college’s quod! 4. Harry’s first confrontation with Lord Voldemort in the Philosopher’s Stone film left him recovering in Hogwarts Infirmary, which was shot in the beautiful Bodleian Library’s Divinity School. Visit the historic Divinity School and find pictures of the scenes and work out the exact spot in which Harry’s bed lay. 5. Also found within the Bodleian Library is the Duke Humphries Library, where in one of the scenes from the Philosopher’s Stone Harry can be seen exploring the Forbidden section of the Hogwarts Library in his invisibility cloak. 6. Get into the true spirit of the wizarding world and play a game of Quidditch in Oxford! There is an official Quidditch club that welcomes beginners to have a go at this very exciting game. 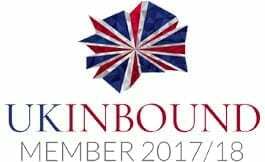 So, polish your broomsticks and join them for a game! 7. Explore the Oxfordshire countryside and discover the Cedar of Lebanon tree at Blenheim Palace; made famous by appearing in the fifth Harry Potter film, The Order of the Phoenix. Here, Severus Snape has a flashback to being bullied by Harry’s father James and Sirius Black, who cast a spell that dangles him upside down from the top of the tree. 8. Imagine you are in your chosen Hogwarts house dormitory and stay in a University College for the night where you will also get to dine at one of the great halls – just like Harry Potter! 9. Take a journey to Oxford’s ‘Diagon Alley’ (also known as the Visitor Information Centre) and buy tickets for the Harry Highlights tour here or pick up Harry Potter souvenirs to remember your adventure by! As a Harry Potter 20th Anniversary special, you could even be in with the chance of winning two free tickets and a wand by entering our Harry Potter competition to rename the Visitor Information Centre on the day of the anniversary (the 26th of June) – find out how to enter here!